*if you don't have buttermilk, use milk and add a tsp of lemon juice so the milk splits. 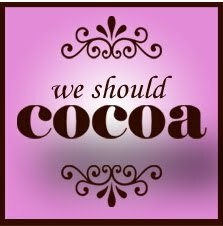 Mix the cocoa powder and Ribena together in a small bowl. Mix the butter and sugar together, using a hand whisk. Add the egg yolks and beat for a minute. Stir in a third of the buttermilk, add a third of the flour and mix. Continue adding a third of the buttermilk and flour until all mixed in. Mix the lemon juice and bicarbonate of soda together and add to the cake mixture. Divide the mixture equally into the cake cases. Bake in the oven for 20-25 minutes. Allow the cakes to cool on a wire rack. Sift the icing sugar and add the Ribena half a teaspoon at a time, until you have the right consistency depending on how runny you want your icing. You can either drizzle the icing on or dip the cake into the icing. This recipe was inspired by an Eric Lanlard Red Velvet Recipe, I thought it a little risque to call the cakes Blue Velvet. I would certainly make these again, you could also try making the glace using Crème de Cassis instead of Ribena. I would also consider removing some of the core from the cakes once baked, and filling with some blackcurrant jam. This worked a treat when I made some Red Velvet cakes and filled the middle with strawberry jam. I am entering these cakes into July's We Should Cocoa baking challenge which this month has Blackcurrant as the magic ingredient. The challenge is hosted by Choclette of the Chocolate Teapot and Chele of Chocolate Log. 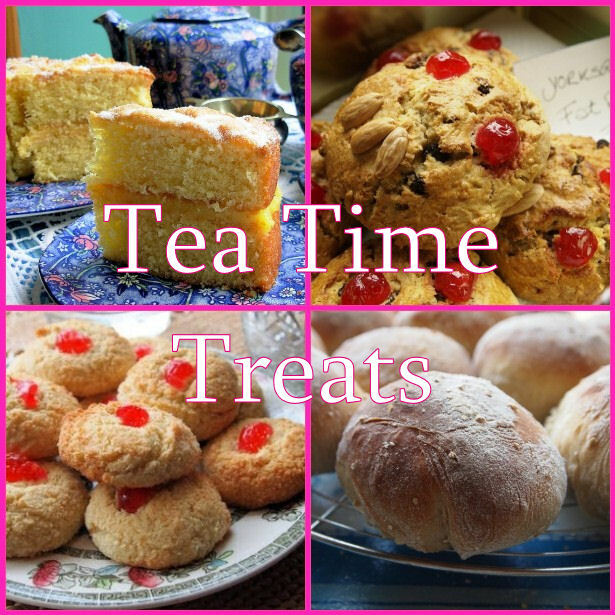 I'm also entering these into July's Tea Time Treats baking challenge, this months theme of Cake Stall Cakes & Bakes. The challenge is jointly hosted by What Kate Baked and Lavender and Lovage who is also this months host. Yes Black Velvet sounds perfect, great suggestion! Thanks Karen, the icing really did work well with the Ribena. I love the way the cakes coordinate with your flowers! What a lovely idea for a tea party in the garden! I know its uncanny, when I'd made the cakes I knew I had to incorporate the one flower border as all the colours came together perfectly! 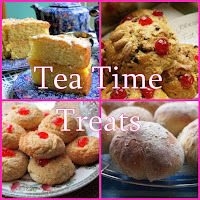 Hi, I'm dropping by via Tea Time Treats. This looks so pretty. Your glace is gorgeous and looks great on the cupcake. Thanks so much for popping by and visiting my blog. I was so pleased with the colours they really make the cake pop! When I lived in London I used to drink 1 litre of Ribena every day!!! Here in Zagreb I cannot find it :( I agree with everybody, cakes, garden and photographs are awesome! Thanks Maria for visiting my blog the leaving such lovely comments. Wow that's a lot of Ribena to drink ;) what a shame you can not find it in Zagreb.